The word “casserole” is often used interchangeably as the name of a recipe and the name of the vessel it’s served in. Casserole pans are often deep dishes, but can take on many different shapes and sizes. Arguably the most recognizable of these is the rectangular 13x9-inch casserole pan. This pan is the perfect size for a big crowd and is also easy to transport to potlucks and holiday parties. For smaller groups, 8- or 9-inch square pans can be used for casseroles as well. The rules for a casserole “recipe” are loose, too. 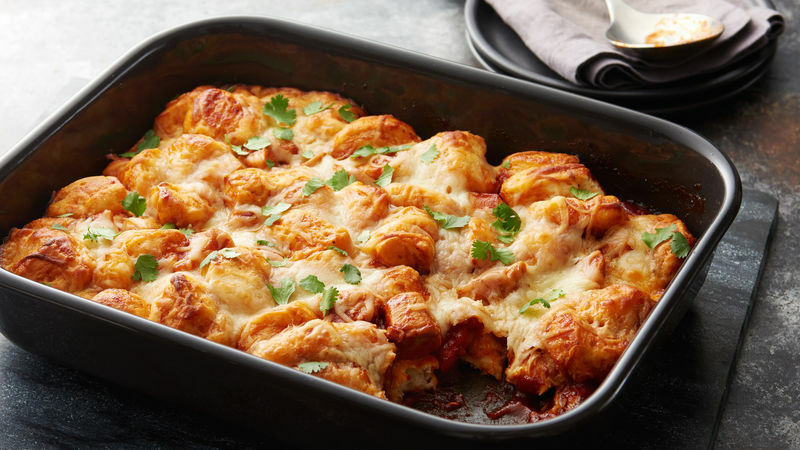 In the United States, a casserole recipe usually consists of a meat, various veggies, a starchy binder (like rice, pasta or biscuits) and cheese baked in a deep dish in the oven. Casseroles are especially popular in the Midwest, and even go by other names. Fondly known as “hot dish” in states like Minnesota and North Dakota, there’s no shortage of love for this simple, yet oh-so-cozy dish. Not a big casserole fan yet? Once you try one of our top-rated recipes, you’ll see what we mean.